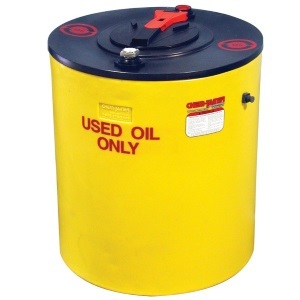 This selection of Plastic Oil Tanks offers multiple tanks and styles for storing anything from diesel fuel to used oil. 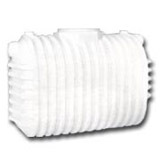 Equipped with plastic manufacturing, these tanks hold up well not only to the inside forces of oil or diesel, but also to variety of outside elements including rain and sun. Strong both outside and inside, these tanks offer you all the support you need when storing fuel materials. When storing items like oil, often a form of secondary containment is required in case these materials spill or leak into surrounding areas. 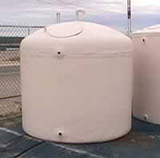 For this kind of dual containment, please choose between a selection of Double Wall Tanks for the storage of fuel, or the Used Oil Tank for storing used oil. 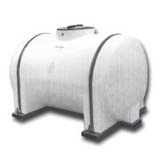 Looking for portable gas storage? For storage of gas or diesel on the go, please view our selection of gas caddies. 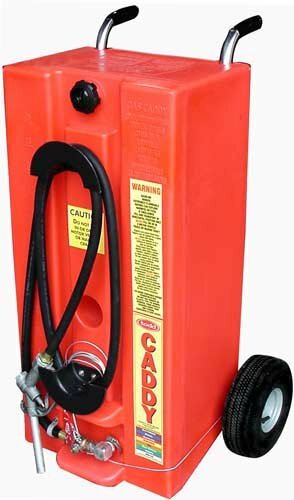 Caddies with the largest storage capacities including the 28 Gallon Diesel Gas Caddy specifically for diesel and the standard Gas Caddies that can store twenty-eight (28) gallons of fuel. With smaller storage space, the fifteen (15) gallon Caddy Gas Kart and the eleven (11) gallon Plastic Gas Caddy Pal are also great options.